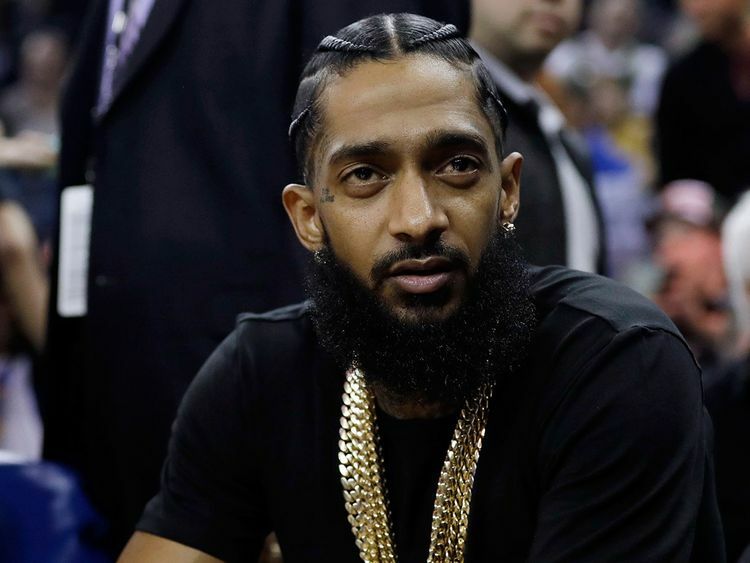 Los Angeles: Police say they have identified a man suspected of gunning down Nipsey Hussle outside his clothing store the rapper hoped would be a catalyst for reviving the impoverished Los Angeles community where he grew up. Details about Holder were released shortly after 19 people were taken to local hospitals - two in critical condition - after a vigil for Hussle turned violent Monday night. At least one of the critically-injured persons was struck by a car and the other one had a "penetrating injury," although it's unclear whether that person was stabbed or cut by broken glass. Two other injuries were serious and 15 were considered non-life threatening. The vigil was held outside The Marathon clothing store where Hussle hoped to spark revitalization for the neighborhood where he grew up. Hussle, 33, and his business partner purchased property in the Crenshaw neighborhood, intending to knock it down and erect a six-storey residential building atop a commercial plaza, with The Marathon as its anchor.